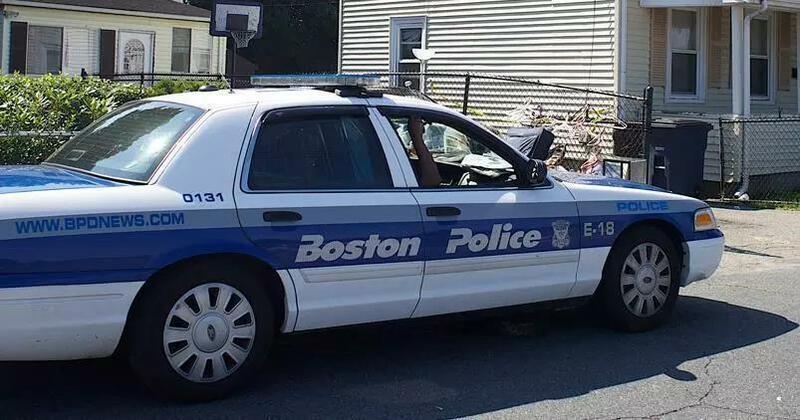 Two Boston police supervisors have been placed on paid leave pending an ongoing investigation into overtime and payroll abuse that has already targeted other officers, according to the department. Detective Sergeant John Boyle would not identify the officers, but said Friday that they were supervisors assigned to the department’s evidence management unit and had been placed on leave Feb. 15. He said the matter is being investigated by the department’s internal affairs unit and also has been referred to the Suffolk district attorney’s office. A spokesman for the district attorney declined to comment on the case Friday. Boyle said in a prepared statement that the investigation centers on what he called an administrative issue, and the department is confident that the integrity of the evidence stored in the evidence room was not compromised. The officers were dismissed from the department and later reinstated, to six-figure settlements that included back pay, according to data released Friday. The investigation into the two supervisors comes only weeks after the department placed three officers assigned to provide security at the front desk of the department’s Roxbury headquarters on leave, also because of alleged payroll abuse. Those officers were identified as Louis A. Vasquez, David A. Stewart, and Curtis Carroll. They have not responded to requests for comment. Boston’s investigation follows federal and state investigations into overtime abuses by multiple State Police troopers. Already, several troopers have been indicted in federal court related to the scandal.